Technology pioneer APD Communications has become part of a global corporation, providing the investment to boost innovation and product development. Hull-based APD has been acquired by Northgate Public Services (NPS), a wholly-owned subsidiary of NEC Corporation, a global leader in information and communications technology (ICT). APD is a leading software supplier to the emergency services, public safety and control room markets. The company provides mission critical communications and control solutions used by more than two thirds of UK police forces as well as major transportation hubs and airports, including Gatwick and Dubai international airports and the London Underground. 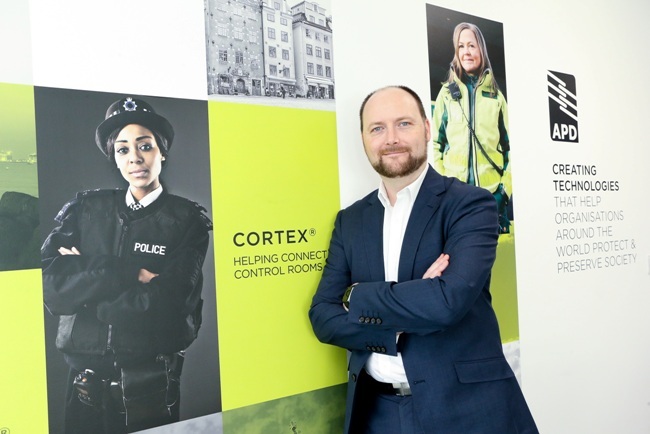 NPS is the market leader for policing IT solutions in the UK with more than 50 per cent of police forces currently using NPS’ crime, custody and intelligence management system, CONNECT, to manage information on victims and crimes. Bringing together the companies’ technologies has the potential to bring untold benefits to the emergency services and public. APD will continue to operate under its current name and its management team and operational staff will remain in place. APD will continue to be based in Hull and operate as a business unit within NPS’ Safety Division. Mike Isherwood, managing director of APD, said: “Joining the NPS team enables us to accelerate our strategic plan and achieve our ambitions. “The synergy between our products and customers is really exciting. Together, we will be stronger and have the resources and capability to provide innovative, market-leading solutions that keep our customers at the forefront of digital public safety delivery. “Becoming part of the NEC family will provide the investment and resources to realise our global expansion plans and enable us to deliver a strengthened proposition of additional products and services. Ian Blackhurst, executive director of Safety and Health, Northgate Public Services, said: “This acquisition is a great opportunity for us to expand our offer and will bring substantial value to customers of both APD and NPS. The deal follows a milestone year for APD during which the business increased turnover to £9.3m – up by 36 per cent over two years – and grew operating profits by almost a third. 2018 also saw APD secure the company’s largest-ever order book, with new orders worth more than £3m across Europe and the Middle East alone. Founded by two academics from the University of Hull and based at the Newland Science Park, adjacent to the campus, APD has developed cutting-edge digital technology in the city for more than 30 years. APD is transforming how the emergency services interact with and protect the public through the company’s development of innovative critical communications solutions that integrate telephony, radio and CCTV to enable rapid and effective response.